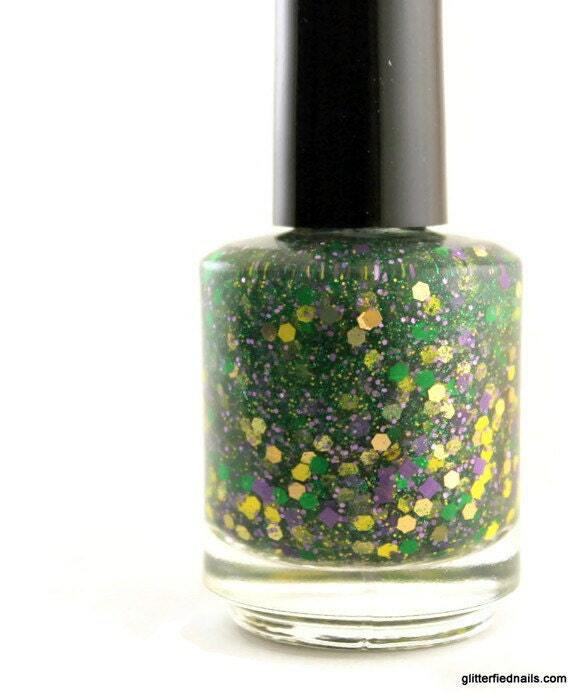 Nola is a 5 free handmade nail polish loaded with green, yellow, and purple glitters and accented with gold holographic sparkle. 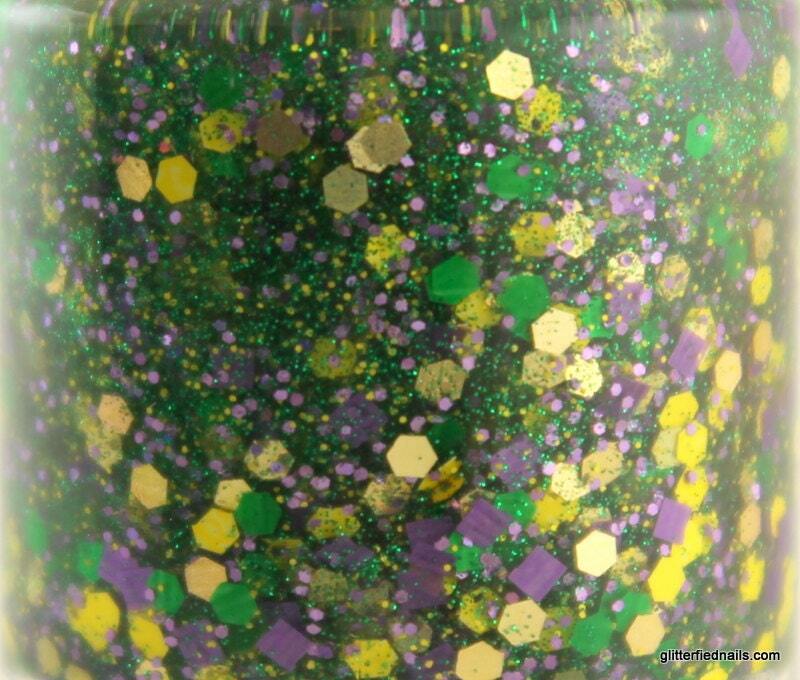 The classic colors of Mardi Gras or Carnivale. 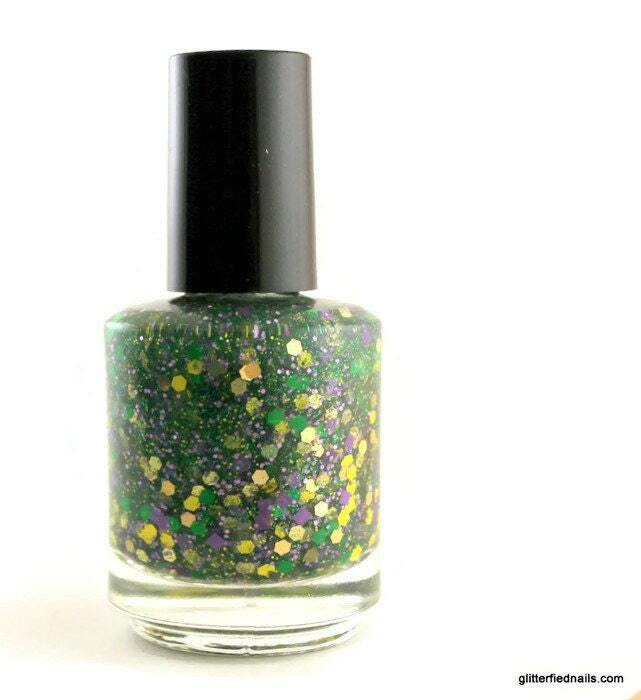 Wear alone in 1-3 coats or over a colored polish for extra pizzazz. Swatches - Left to Right - 1 Coat over no base, 2 coats over no base and 3 coats over no base. This is a full size bottle (15 ml). 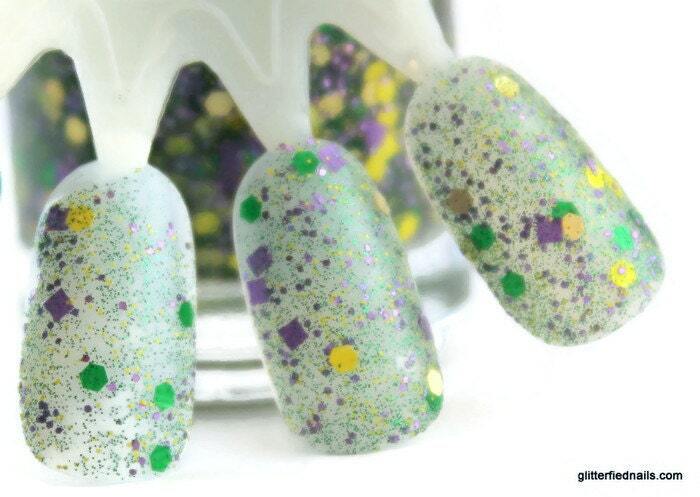 All polishes are made in small batches.